Clark Seif Clark (CSC) offers testing and consulting services to help identify and prevent human exposure to asbestos during construction projects. 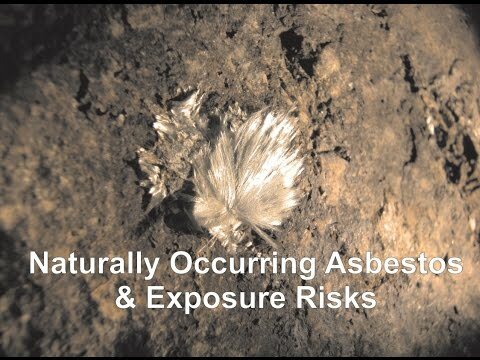 Construction workers in areas with naturally occurring asbestos are not the only people at risk of exposure. Asbestos is the name given to a group of six different fibrous minerals that occur naturally in the environment. These minerals can be found in soil and rock formations in many regions of the Western United States. The term naturally occurring asbestos, or NOA, refers to the mineral as a natural component of soils or rocks as opposed to asbestos in commercial products, mining or processing operations. Naturally occurring asbestos can be released from rocks or soils by routine human activities or natural weathering processes. Prolonged inhalation exposure to asbestos fibers can cause mesothelioma, asbestosis and lung cancer. To learn more about asbestos or other environmental, health and safety testing and consulting services, please visit www.csceng.com, email csc@csceng.com or call (800) 807-1118.